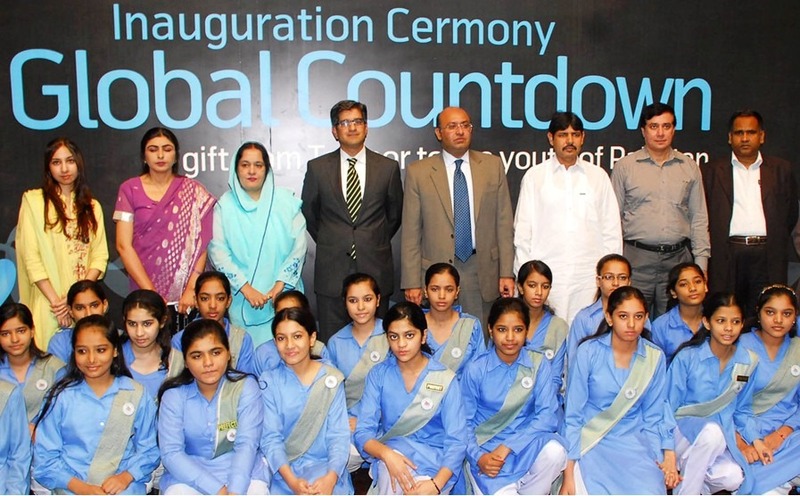 The Environment Protection Department (EPD) and Telenor Pakistan jointly inaugurated the Global Countdown game here in Children’s Library Complex, today. The digital role-playing game is based on the idea of creating environmental awareness among the youth. The game was designed by Telenor Norway and gifted to Telenor Pakistan as part of the celebrations of Telenor’s 150th birthday. Punjab Minister of Education Mujtaba Shuja -Ur-Rehman (center right), Chief Strategy Officer and Vice President Corporate Affairs Telenor Pakistan, Aamir Ibrahim (center left), Secretary Schools Aslam Kamboh (second, center right), Director General Environment Protection Department, Punjab Government, Dr. Shagufta Shahjahan (second, center left) with other members and school children pose for a picture after the inauguration ceremony. This is a Good step from Telenor.